A RARELY depicted but impressive shed scene at Wolsingham on the Weardale Railway. Viewed from a passing train on May 6, the depot, which has no public access, is about half a mile east of Wolsingham station. 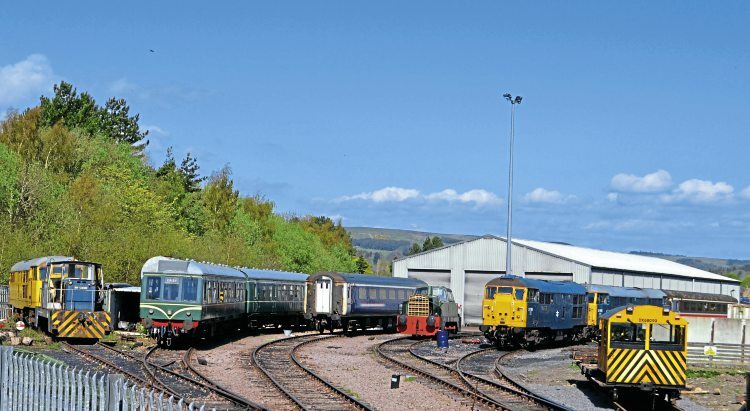 The three-road shed was built in 2004 for the reopening of the railway, and is on the site of the former Wolsingham steelworks.